The Star Wars film saga has now at the end of 2017 reached its 8th episode. 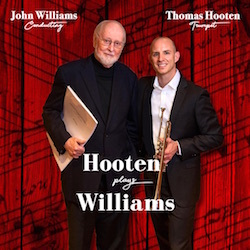 One of the few members of the original film making crew that has been part of it all through the years is the inestimable film music maestro composer John Williams, who has provided music for the entire decades and galaxy spanning space opera. Well-known for its leitmotific-driven style the Star Wars music has become one of the cornerstones of these films, audiences nowadays automatically expecting the music to deliver thrills and chills in its openly emotional style. The Last Jedi proves again clearly that the Force is still with the 85 year old composer, whose score for the new film packs an emotional punch in a very Star Warsian vein while also driving its many scenes with exciting kinetic energy as The First Order and the Resistance battle for the fate of the galaxy far, far away. The disc opens in the only way it could with the familiar Main Title, and after a very familiar fanfare and flute coda transitions into tumultuous space battle music (Escape) featuring exciting breathless strings and rapid fire brass licks – very much a Star Wars staple – while pitting the music of Kylo Ren and First Order against the heroic March of the Resistance and fragments of Poe’s flying music from The Force Awakens before ending in a brilliant melodramatic, elegiac explosion from the whole orchestra, reminiscent of the tragic musical material from Revenge of the Sith. 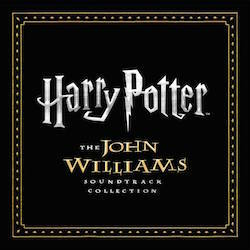 It is a perfect opening that draws the listener quickly back into the musical world of Star Wars. Rey’s and Luke’s musical journeys continue in Ahch-To Island where Williams re-introduces the mysterious and slightly ominous Jedi Steps material from the end of The Force Awakens with the Force Theme and Rey’s theme following in quick succession as the young woman’s first meeting with Luke doesn’t quite go as imagined. 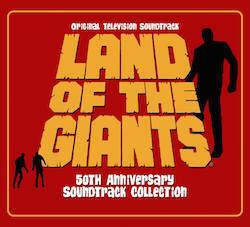 A new nobly tragic theme appears in the ending half of the track, music for Luke and his island home, the development ranging here from stormy to beautifully lyrical in the short span of time. This secondary idea is perhaps the most attractive of the new themes on the disc and in my opinion rather criminally underused as it has a beautiful classical, almost Sibelian fateful quality to it. Lesson One features delicate alternating halting renditions of Rey’s and Force themes that suddenly transform into a thunderous coda of swelling string lines and brass that clearly communicates a dramatic turn of events. Rey’s and Luke’s story is musically further charted in Old Friends where nostalgic readings of the Force, Luke’s and Leia’s themes are followed by the mysterious music of Ahch-To. 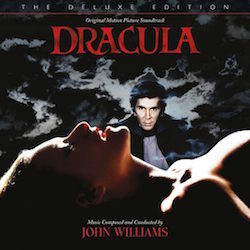 Williams presents snatches of Rey’s theme in the probing and eerie Who Are You? and the cool and atmospheric The Cave as she continues to test her powers while trying to figure out her destiny, past and future. The Sacred Jedi Texts unfolds quickly from serene ruminations on the Force Theme into a fiery musical conflagration that subsides as it meets a more surprising but welcome thematic idea as Yoda’s music makes a brief cameo in the score with its wise and benevolent tones. The villains of the piece receive their due on tracks like Revisiting Snoke where the Supreme Leader’s low throaty Sanskrit male chorus chant wafts through the dark string chords and Kylo Ren’s musical signatures are revisited by the low end of the orchestra full of delicious malevolence before the horns rise into his primary theme full of anguished roaring energy to illustrate his ever-fiery inner struggles. These themes also once more underscore the dastardly deeds of the First Order and appear frequently throughout the score as Williams deftly inserts quotes of the more asserting Kylo Ren fanfare into the film’s many battle sequences. The musical colours for Snoke re-appear in A New Alliance but soon explode through the Force Theme into a Prequel styled fast-paced string and brass material peppered with percussion, Kylo Ren’s and Rey’s theme appearing in its midst to imply breathless conflict. Rose, the idealistic Resistance mechanic full of fighting spirit, receives surprisingly the most readily memorable of the new themes in this score. 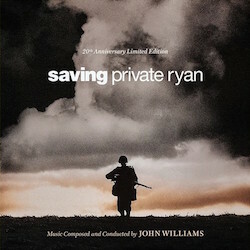 It is a sweet, innocent yet heroic optimistically rising melody that is first heard in the humorously named Fun with Finn and Rose where it haltingly alternates with Leia’s theme and clever suspenseful take on the March of the Resistance that shows Williams cleverly re-exploring the possibilities of this mainly martial material. In The Fathiers Rose’s theme works as a heroically rousing thematic through line as the composer leads us into one of his breathless scherzos with a feel of a wild gallop complete with hooting horns. This idea also receives a concertized suite in The Rebellion is Reborn where it is somewhat curiously combined with the new music for the Resistance and Luke’s island as a sort of compilation of all the major themes in one 4-minute piece. This economy is surprising when all of these ideas would have in my opinion warranted their piece to fully flesh them out, but it is still a definite highlight of the disc. Some exotic variety is provided by the fun Canto Bight piece that opens with orchestral chimes accompanied transitional fanfare for the casino planet that Rose and Finn embark to find. 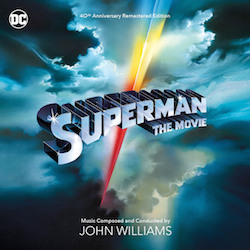 It suddenly takes a turn into very Star Wars-styled source music where Williams goes back to his Cantina Band style, here apparently adapting an existing song with definite South American flavour into a performance by an alien orchestra again including e.g. steel drums and providing an original jazzy composition not too far removed in style from the breezy The Adventures of Tintin music that allow for a bit of levity into otherwise quite emotionally heavy scoring. The film’s major story thread sees the Resistance’s desperate conflict with the First Order to which the composer supplies some of his classic action scoring exemplified by tracks like the aforementioned Main Title and Escape and the later The Supremacy where the wild racing string patterns and Kylo Ren’s theme battle with the March of the Resistance and rhythmic battle motifs derived from it in an orchestral duel before Williams unleashes a powerful rendition of Leia’s and Force themes for an emotional conclusion. “Chrome Dome” opens with another new driving theme for the Resistance’s fight back against the First Order which is here given weight by thunderous percussive forces that takes over by the end of it. 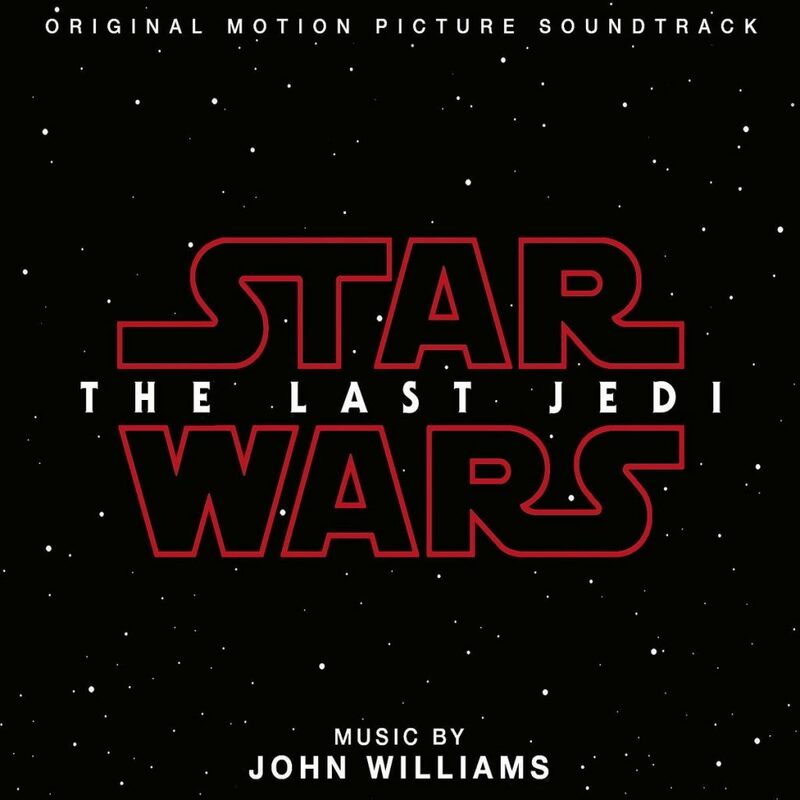 The major setpiece in the last third of the album, the impressive The Battle of Crait, is a near seven-minute tour-de-force of Williams’ exciting theme-driven action music where many of the central themes old and new, including The Force, Rose, Rey, Kylo Ren and Rebel Fanfare, get a stupendous energetic work-out that culminates in an unexpected but beautiful tragic choral finale. The actual finale of the score begins with The Spark that warmly explores both Luke and Leia’s theme and Han Solo and the Princess love theme that glow with both emotion and nostalgia ere the piece masterfully grows slowly from the ostinati fragments of Darth Vader’s theme into a tremendous orchestral crescendo for a moment of decision and defiance. All this bent up dramatic energy culminates in The Last Jedi where Williams alternates between the Force theme and Kylo Ren’s material as the piece travels from elegiac choral tones to the furious epic orchestra and wordless chorus climax like of which hasn’t been heard since Revenge of the Sith. The denouement begins with Peace and Purpose that provides musical conclusion to this chapter of the story. After the Force theme soars full of poignant meaning for a very powerful moment in the film the score shifts to an oppressive march-variation on the Kylo Ren material that seems to walk the footsteps of Darth Vader bringing this music closer to its final form and destiny but ends with hopeful recapitulations of Poe’s and Rey’s themes before the Rebel Fanfare whisks us to a heroic finish. And finally, the composer draws the score to a close in the aptly named Finale which begins with delicate harp duet accompanied by crystal clear flutes but soon builds into an impassionate rendition of the Force theme as a sign of the reborn Rebellion and dives into the end credits music. 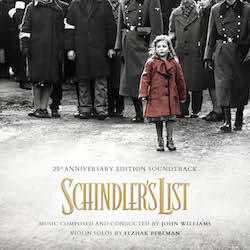 The new suite deviates from all the previous ones in that it feels somewhat disappointingly less a fully realized concert suite recapitulation of the new themes, which are none the less heard during it, but rather a collection of several cues from the film stitched together editorially and sometimes combined to somewhat abrupt effect. This however is a small quibble in the otherwise tremendously entertaining achievement from the venerable composer. The Last Jedi is a terrific score although it doesn’t quite reach the full marks like its predecessor did in my book. It undeniably compositionally continues on the path charted by The Force Awakens and takes what has come before and gives it a new exciting spin and expands upon it. 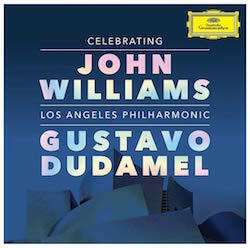 Williams expertly takes the catalogue of previously established musical ideas and runs with them, fluidly alternating between his leitmotifs as the story demands it which results in a strong musical narrative. But the downside if you are looking for one might be with the obvious reliance on old musical ideas and the new themes being somewhat less prominent than in previous episodes. Only Rose’s theme rises above the more nebulous ideas for Luke and the Resistance/Rebellion that the composer introduces here which is a shame as it feels that these themes had a lot of unrealized potential. This results in the lack of a truly central new theme for this entry in the saga that would tie everything together like Rey’s did for The Force Awakens. 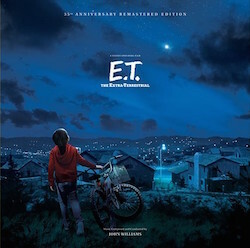 But despite these slight detractors one can’t but marvel at Williams’ continued creativity and energy and the whole energized atmosphere of the score, the dramatic drive and sheer compositional bravura present in the music which seems to suggest that the composer still had a whole lot of fun in returning to the galaxy far, far away. It is undoubtedly familiar in style and dramatic gestures, but these are all ingredients that make this a Star Wars score. And thus, in the final analysis The Last Jedi receives despite its few shortcomings a wholehearted recommendation.